While the launch industry has grown, DoD is not giving commercial companies enough opportunities to compete for contracts, says a new study by the Center for the Study of the Presidency and Congress. WASHINGTON — Privately funded space companies are pouring billions of dollars into the development of satellites, sensors and launch vehicles that the Pentagon needs to modernize its own capabilities to stay ahead of space rivals China and Russia. The government, however, is not taking advantage of burgeoning commercial innovations due to bureaucratic inertia, says a study released on Monday by the Center for the Study of the Presidency and Congress. The Washington, D.C.-based CSPC is a non-partisan nonprofit organization led by former members of Congress Mike Rogers, of Michigan; and Glenn Nye, of Virginia. “The environment is ripe for change in the national security space arena,” Rogers said on Monday at a news conference. Many of the recommendations in the study focus on space launch procurement. 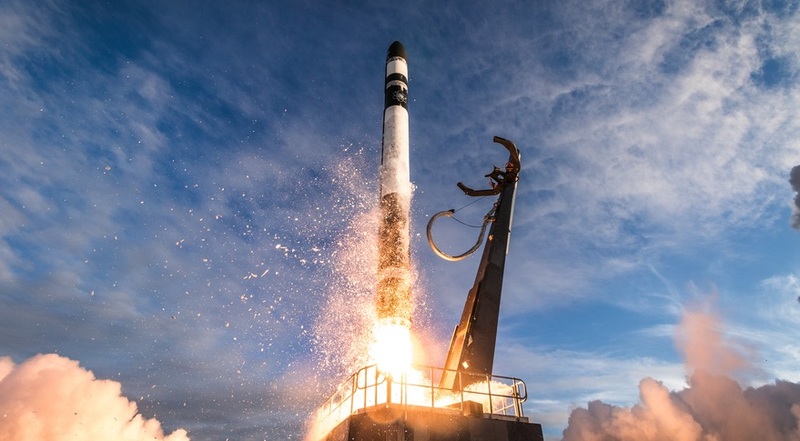 Changes in how the Pentagon buys launch services is a hot-button issue for private launch companies that are trying to break into the national security market. Corporate sponsors of the CSPC study include Blue Origin, Rocket Lab and Leidos. Rogers said other companies helped fund the study but those three were the only ones that agreed to be identified. The conclusions and recommendations in the study were developed over the past year in closed-door meetings and tabletop exercises involving more than 125 experts from government, commercial space companies and think tanks. The government’s resistance to change in how it procures space technology is problematic because it’s a wasted opportunity to tap into the products and services that the industry is development at a fast pace, the study says. How to rapidly modernize space systems is a “fundamental national security question” that is not getting the attention it needs on Capitol Hill and DoD because everyone is distracted by the Space Force reorganization debate, Nye said. “We’re trying to keep people focused on this in the context of a year when the president put a Space Force idea on the table,” said Nye. The Space Force proposal is helpful in the sense that it focuses attention on the issue. But it also complicates efforts to reform procurement because the attention is completely consumed by bureaucratic questions. “We are trying to move the attention away from ‘who sits in what office and has what kind of badge on their uniform’ back to the fundamental question of how we procure the things that we need to put in space to keep our country strong,” Nye said. The study points out that in 2017, private space investments exceeded $2.5 billion. Three space companies alone — SpaceX, Blue Origin and OneWeb — secured over $1 billion in investments. With regard to space launch, the study calls for a White House review of current policies, including the military’s strategy to procure launch services under the National Security Space Launch program. The NSSL competition known as the Launch Service Procurement Phase 2 has come under scrutiny for rules that could keep commercial players like Blue Origin on the sidelines. The reports urges Congress to hold hearings on “achieving true and real competition in the national security launch market.” It also calls on the National Space Council to review the 2013 National Space Transportation Policy and the National Security Space Launch program, particularly its impact on the development of domestic space capabilities. The once powerful “nation-state monopoly on assured launch is now broken with a strong, competitive market available,” the report says. Brett Alexander, Blue Origin vice president of government sales and strategy, said the government remains wedded to the status quo and a procurement culture that favors incumbent players. The company has challenged the Air Force’s plan to select only two companies to provide launch services from 2022 to 2026, which it fears would benefit the two incumbents United Launch Alliance and SpaceX. A low Earth orbit constellation is one of the projects envisioned by the Pentagon’s newly created Space Development Agency. Officials said the SDA will primarily acquire commercially available technology. The CSPC report would like to see that approach adopted more widely across DoD.